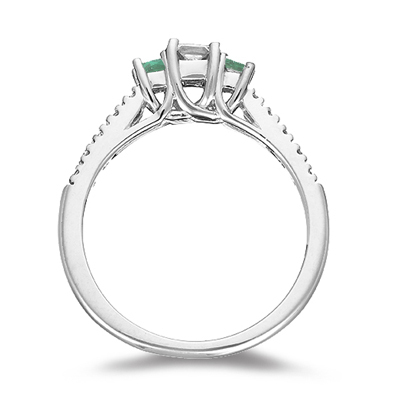 1/2 Cts Diamond & 0.15 Cts AA Natural Emerald Ring in 18K White Gold . 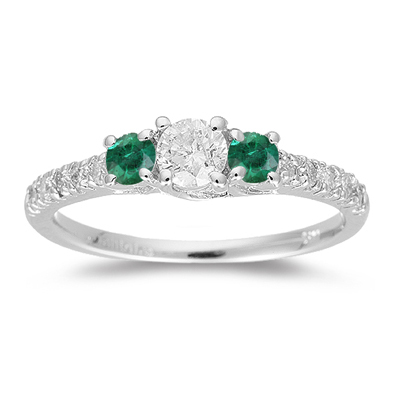 This beautiful Diamond & AA quality Natural Emerald Ring gleams a sparkling solitaire surrounded by two emeralds prong set in 18K White Gold. 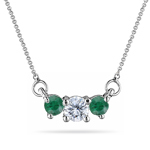 Approximate Diamond Weight: 0.48 Carats; Approximate Gemstone Weight: 0.15 Carats. 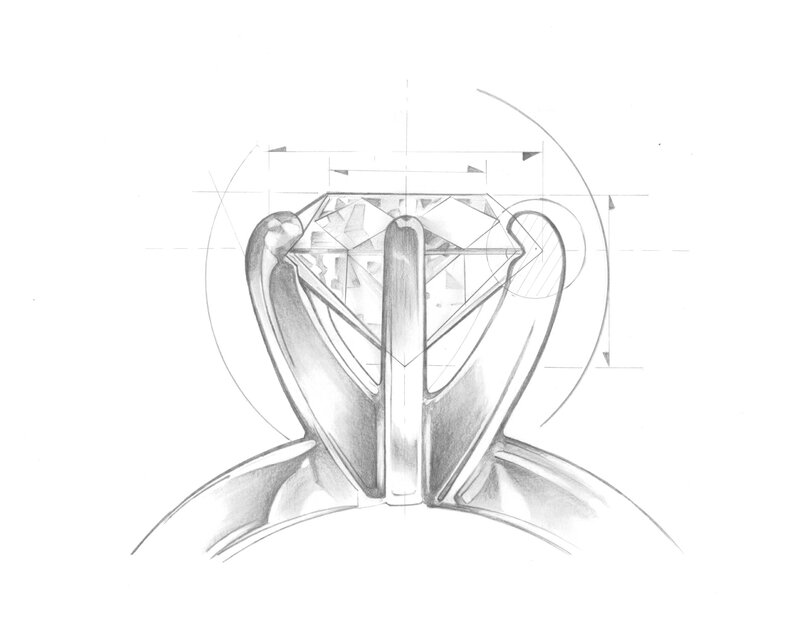 An elegant ring to flatter your hand.